Look: Sportbekleidung/Strand. Maße: 66 cm lang (Rücken ohne Kragen) und 49 cm weit (Achsel). Nike Air Blazer Polo T-Shirt TShirt Sneaker Turn Schuhe Trainers Grau Grey Gr XL. Design: Mit Motiv. Adidas Bologna Fussball Schuhe Soccer Shoes Leder Football Cleats West Germany 9. Battle Royale Girl #3 T-Shirt by Airside. As seen in Shaun of the Dead. Condition is Used. Dispatched with Royal Mail Signed For® 2nd Class. This top has an oversized, relaxed fit. Made in USA. Shoulder to Shoulder - 24.5". Marks or Stains - None that we can see. Seam below the collar to hem on back of item - 30 ". Look: Sportbekleidung/Strand. Maße: 71 cm lang (Rücken ohne Kragen) und 53 cm weit (Achsel). Nike Air Blazer Polo T-Shirt TShirt Sneaker Turn Schuhe Trainers Grau Grey Gr XL. Material: 100% Baumwolle. Maße: 71 cm lang (Rücken ohne Kragen) und 56 cm weit (Achsel). Nike Air Blazer Polo T-Shirt TShirt Sneaker Turn Schuhe Trainers Grau Grey Gr XL. Material: 100% Baumwolle. Design: Mit Motiv. Anlass: Freizeit. Here it is, the grail of vintage WWF Attitude Era DX t shirts. This is the original style DX shirt, in near enough ‘as new’ condition, having only been worn once back in the day! It is a size medium, and is a little bit big fitting, so would pass as a large. 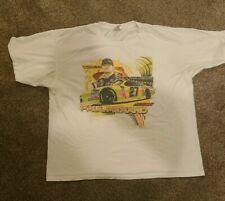 At the time of listing, this is the only one of these original shirts on eBay! The condition is great, with no holes, rips or tears. If you wear this to a wrestling event, you WILL get asked about it - it’s that rare. Maße: 72 cm lang (Rücken ohne Kragen) und 54 cm weit (Achsel). Nike Air Blazer Polo T-Shirt TShirt Sneaker Turn Schuhe Trainers Grau Grey Gr XL. Material: 100% Baumwolle. Design: Mit Motiv. Anlass: Freizeit. Logo on chest. Shirt is inGOOD condition but has a faded appearance. 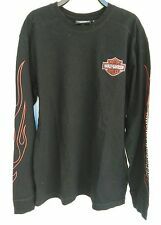 Tee Rounders l / s blk XL - Fmf Apparel de: FMF APPAREL. TEE Rounders L / S BLK XL. Maße: 71 cm lang (Rücken ohne Kragen) und 52 cm breit (Achsel). Marke: Jon Cena. Nike Air Blazer Polo T-Shirt TShirt Sneaker Turn Schuhe Trainers Grau Grey Gr XL. Design: Mit Motiv. Material: 100% Baumwolle. Rare Nike short sleeve jumper in size Extra Large. Number 34. Blue and white detailing and in fantastic condition. This is a used item of clothing. There might be small marks consistent with a used item of clothing. Camiseta del Don hgr 2x - Fmf Apparel de: FMF APPAREL. TEE EL DON HGR 2X. Estilo: Casual NOMBRE DEL PRODUCTO. género: Hombres. Tour: 2005 Tour including Reading, Leeds and Rock Am Ring Festival Slots. I will try to despatch within 24 hours but delays can occur. Condition: Fading to Tshirt and cracking to print in keeping with age. Tee dinastía s WHT - Fmf Apparel de: FMF APPAREL. TEE DYNASTY WHT S.
Tee dinastía BLK m - Fmf Apparel de: FMF APPAREL. TEE DYNASTY BLK M.
Tee dinastía mgn m - Fmf Apparel de: FMF APPAREL. TEE DYNASTY MGN M.
Look: Sportbekleidung/Strand. Maße: 69 cm lang (Rücken ohne Kragen) und 43 cm weit (Achsel). Produktart: Trikot. Das Trikot ist Neu und ungetragen. Nike Air Blazer Polo T-Shirt TShirt Sneaker Turn Schuhe Trainers Grau Grey Gr XL. Tee rraider bk m - Fmf Apparel de: FMF APPAREL. Tee estrellato WHT m - Fmf Apparel de: FMF APPAREL. TEE STARDOM WHT M.
(The lot will include a hand picked selection of different artists, different colours (mostly black) and sizes. The pictures above show a fair representation of what you will receive:). Soho Music are proud to present this Joe Satriani t-shirt from 1988 for the Surfing with the Alien LP. Top to Bottom: 26". Tee fumadores ch m - Fmf Apparel de: FMF APPAREL. T Is In Great Condition. Made in the U.S.A. Rare! From their October 9 & 11 1981 SOLD OUT shows at the Los Angeles Coliseum. Really soft and thin t-shirt material. Supported by PRINCE! Camiseta para hombre de repetición s WH - Fmf Apparel de: FMF APPAREL. 100% algodón pre-encogido. Fabulous and rare original 1984 grey Whitesnake Slide It In UK tour t-shirt in excellent wearable condition. Measures 40 inches across the chest and 27 inches from shoulder to hem. In great clean condition with no stains and no fading or cracking to the graphics. Worn to vintage perfection, soft and supple with light pilling throughout but no holes, thinning or loss of shape. Make me an offer and own a treasure!